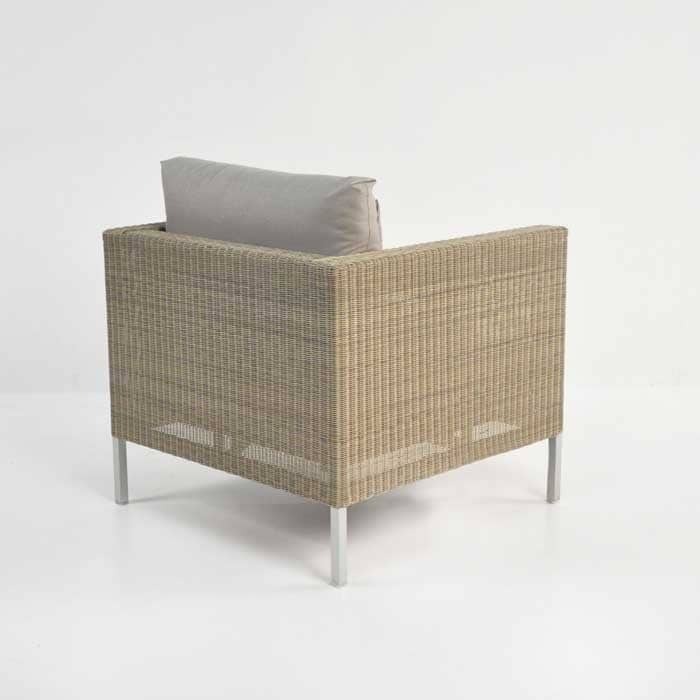 Oozing comfort; the Madison Wicker Outdoor Chair is a grand and tasteful addition to your home! 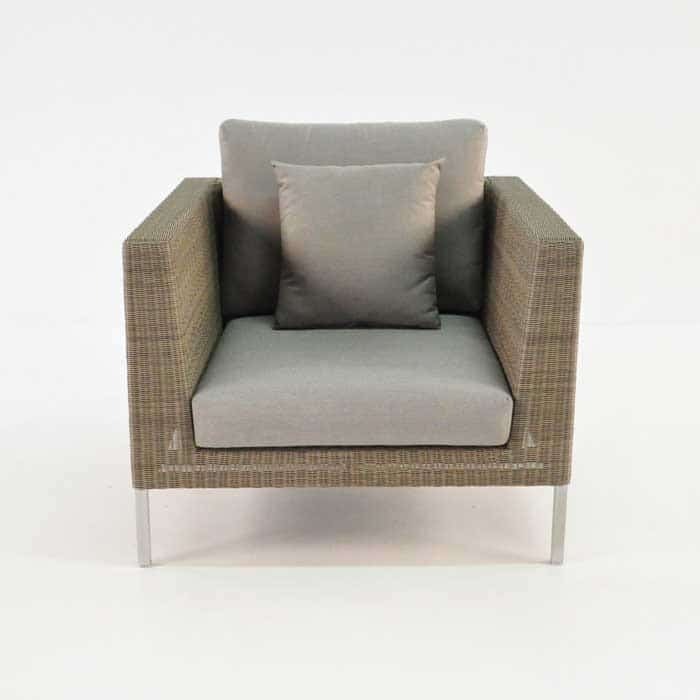 Sporting a simple frame, with clean lines, and double back cushions; the large outdoor chair that we call the Madison Club Chair is incredibly glamorous part of the Madison Collection. The Madison Collection is known for its modern splendour; very sleek lines paired with luxurious fabrics which makes the whole set suitable for both in and outdoors. Perhaps you want to create a setting that feels tranquil and relaxing? Place three Madison Outdoor Cub Chairs around your favourite spot in the garden for a little comfortable serenity. Frame your Madison 2 or 3 Seater with a Madison Outdoor Chair, (all made with incredible outdoor wicker by Viro®) on either side for an inviting area that speaks volumes of style, satisfaction and luxury. 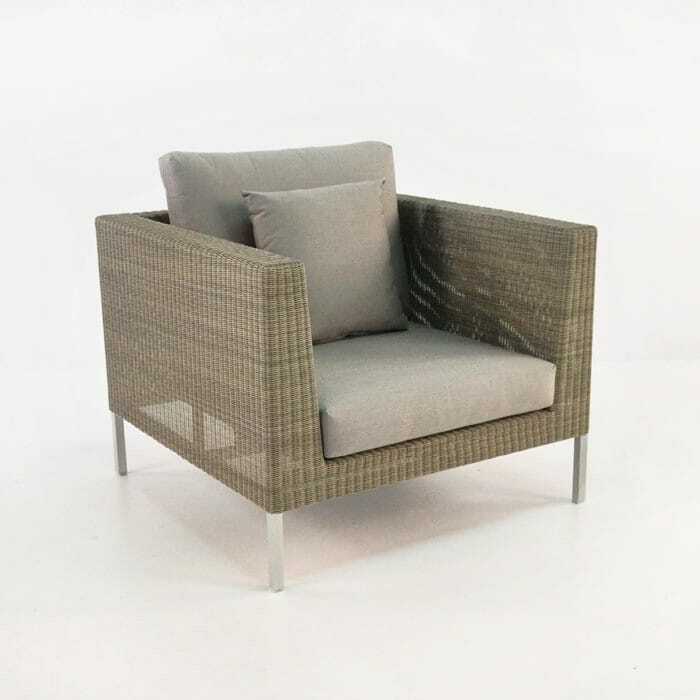 The Madison Large Outdoor Chair is constructed out of a powder-coated aluminium frame, Viro® wicker, and cushions made out of Sunbrella® fabric with Quick Dry foam, this outdoor chair is not only gorgeous, but is a piece you will enjoy for years to come. Need something to fit a little space? 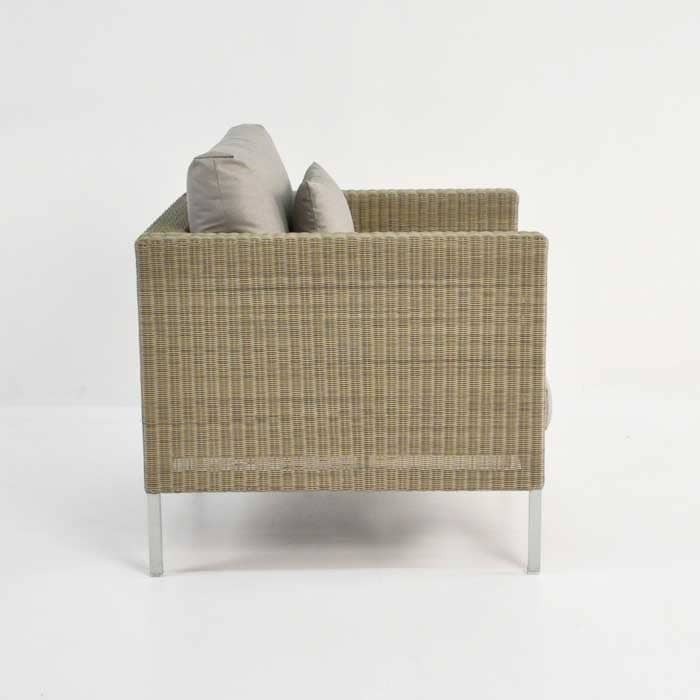 See our smaller Madison Club Chair. The Madison Large Wicker Outdoor Chair is versatile in any space and is available now – ready to illuminate your surroundings. The Madison outdoor chair comes with FREE Sunbrella® cushions!